In 1948, nearly 800,000 Palestinians were expelled from their homes by a movement aiming to colonize the land of Palestine. This was the original Nakba, catastrophe, of the Palestinians. Those who had fled sought temporary refuge in safe areas, waiting for the war to end so that they could return. On the outskirts of the Palestinian town of Jenin, at the northern edge of what is today called the West Bank, a refugee camp was established in 1953 by the United Nations. Refugees from the Galilee and the Haifa region settled in the camp, which was initially made up of tents and simple one-room structures. It was to be known as the Jenin refugee camp, one of 58 recognized Palestinian refugee camps in the West Bank and the diaspora. The refugees had lost their homes, their lands and most of their belongings but not the belief that they would one day, soon, be able to go home. For the refugees in Jenin, home was not far – on a clear day visible from the hilltops overlooking the camp. Uprisings, wars, negotiations and false promises followed as the years and decades passed by, while the Israeli occupation expanded its control of lands and minds. Meanwhile, the population of the camp grew but the 0.42 square kilometre plot of land remained the same. Thus the camp grew vertically, a new floor added for every new generation that married and started a family. In 1987, during the outbreak of the first Palestinian Intifada (uprising) a woman from the nearby coastal town Haifa by the name of Arna Mer Khamis led a group of women from the refugee camp in setting up several alternative education centres, ‘children’s homes,’ in Jenin camp and town. Local legend tells of how Arna entered the refugee camp barefoot, carrying pens and papers in her hands, and gathered children around her. Curiosity won over suspicion and Arna came to be trusted, respected and loved in Jenin. Many women joined Arna and their work came to be known as the Care and Learning project, which received the Right Livelihood Award in Sweden in 1993. With the award money a small theatre, the Stone Theatre, named after the stones children threw at invading Israeli tanks, was built on top of a residential house belonging to the Zubeidi family. Samira Zubeidi was one of Arna’s closest partners and her sons Zakaria and Daoud were involved in an acting group led by Arna and her son, Juliano Mer Khamis. Juliano, born to a Palestinian-Christian father and a Jewish-Israeli mother, was at the time a famous and controversial actor in Israel. He helped his mother lead theatre workshops in Jenin refugee camp and stage plays with children and youth. Arna died of cancer in 1995. Her death and changed sociopolitical circumstances contributed to the end of the Care and Learning project. After almost a decade of fruitless peace negotiations, resulting only in further land grabs and hardened oppression, the second Intifada broke out in the year 2000. Some of the former participants in the project took up leading positions in the resistance in Jenin refugee camp, and many died during the Battle of Jenin in April 2002. Juliano returned to the camp shortly after to find it in ruins, along with the Stone Theatre – an experience he documented in the film Arna’s Children, featuring some of the former child actors in his mother’s project. One of the last survivors of the early theatre groups was Zakaria Zubeidi, Samira’s son. At the end of the Battle of Jenin, Zakaria became the military leader of the al-Aqsa Martyrs’ Brigades and as a man wanted by the Israelis lived underground for several years. For Zakaria, the dream of establishing anew a cultural centre in Jenin refugee camp had remained alive since the days of the Stone Theatre. In 2005, while parts of the camp were still in ruins, the idea of building on the heritage of Arna, Samira and the other women was put into action by a group of people that included Zakaria, Juliano and Swedish activist Jonatan Stanczak. In February 2006 the doors to The Freedom Theatre were opened, while clashes still raged on the streets outside. The building was an old British army structure built as a storage facility for the former train station, which had been converted into a UN distribution centre and, later, a community centre that had subsequently been closed, and the building was abandoned. It was renovated and transformed into a makeshift theatre with donated theatre lamps and rented plastic chairs. The opening event gathered a large crowd of adults and children who were treated to music, circus and theatre performances. Jenin town and camp VIPs gave the initiative their blessings; requests to perform and pledges of support poured in from around the world. The Freedom Theatre was born and it was time for Resistance through Art. Alice dreams of true love but is about to be forced into an arranged marriage. At her engagement party, a white rabbit appears and takes Alice on a confusing journey to a new world: Wonderland. She spins round and round on a rotating stage until she lands in front of a large, hissing, caterpillar that reveals Alice’s fate: to liberate Wonderland from its oppressors. In its first decade, the makeshift theatre hall with rows of rented plastic chairs has grown into the largest cultural centre in the northern part of the occupied West Bank. More importantly, it has become a nucleus of artistic, socio-political creation, conversation and cultural resistance in the heart of Jenin refugee camp. 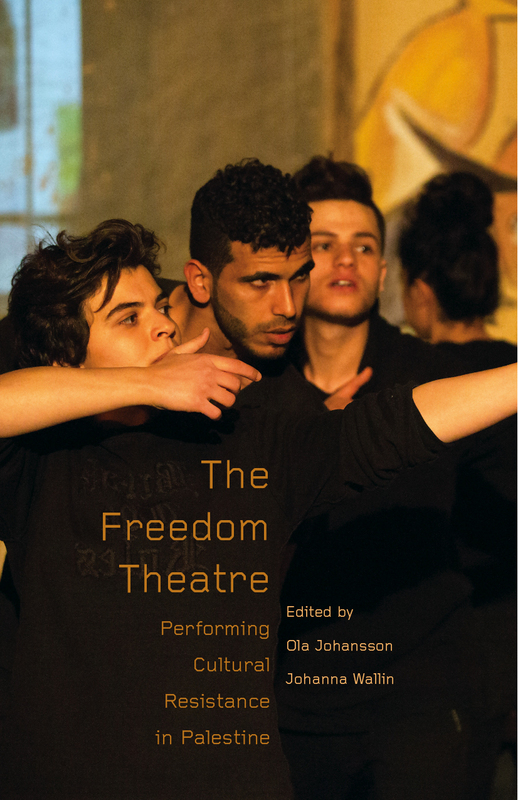 The Freedom Theatre’s work is based on the belief that artistic expression has a crucial role to play in creating a free and equal society. The theatre stages plays, runs professional training in acting and devising, offers pedagogical training and creative afterschool activities. It runs courses in photography and filmmaking, produces exhibitions, short films, a youth magazine and various publications. It has within its first ten years raised a core of actors, stage managers, theatre technicians, cultural administrators, photographers, filmmakers and instructors. It has engaged more than 100,000 artists, spectators and visitors in performances, trainings, workshops and presentations, in Jenin and elsewhere in Palestine. It has toured in over 15 countries and created an extensive international network of partners and friends. The Freedom Theatre’s journey has not been easy. External and internal opponents have continuously attacked it, in words and in actions. In April 2011, one such attack proved fatal when Juliano Mer Khamis was brutally assassinated outside the theatre by an unknown murderer. Over a year of intense harassment followed, where The Freedom Theatre was hit from all sides. The Israeli occupation forces attacked the theatre building in nightly raids, detained or arrested students, actors, staff and board members, in some cases presenting absurd allegations of involvement in Juliano’s murder, only to release them a few days, weeks or months later. The Palestinian Authority also targeted people associated with the theatre, allegedly in connection with Juliano’s murder. Although The Freedom Theatre announced immediately after the murder that all of its members were committed to assisting in the investigation and were available for questioning, both authorities chose to use force. Many of the theatre’s members, particularly children and youth, had to leave The Freedom Theatre out of fear. The safe space created laboriously over the years was shattered to pieces. What we do in the theatre is not trying to be a substitute or an alternative to the Palestinian resistance in the struggle for liberation, just the opposite. This must be clear. I know it’s not good for fundraising, because I’m not a social worker, I’m not a good Jew who comes to help the Arabs, and I’m not a philanthropic Palestinian who comes to feed the poor. We join, by all means, the Palestinian struggle for liberation, which is our liberation struggle. We are not healers. We are not good Christians. We are freedom fighters. The founders of The Freedom Theatre and those who joined them had a vision of building a theatre community that would not attempt to replace other forms of resistance in the struggle for liberation – rather to join them. The Freedom Theatre was never aimed to pacify, its work was intended to stir, mobilize and transform. Ola Johansson is Associate Professor in Contemporary Performance Practice at the Centre for Research into Creation in the PErforming Arts (ResCen), Middlesex University (UK). Johanna Wallin is a writer, coordinator and communicator who joined The Freedom Theatre in 2008 as a resource developer. This excerpt from The Freedom Theatre (LeftWord Books, 2018) has been publised with permission from the publishers.